Create an insect free environment with FlyWeb Insect Management from Gardner ! 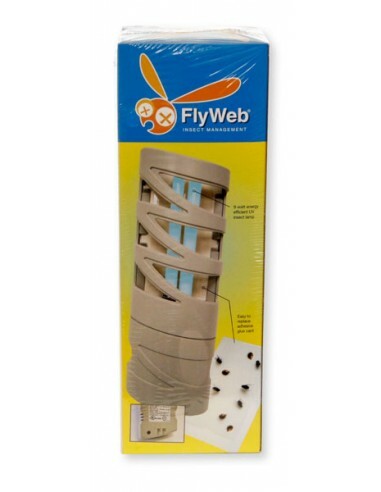 Efficient and non-toxic, the FlyWeb Fly Light is designed for indoor use where there are flying pests and proven to trap annoying, disease carrying, house flies, bottle flies, fruit flies, yellow jackets, moths, asian lady beetles, mosquitoes and many other pests ! Contemporary styling complements any decor. The FlyWeb Fly Light attracts flying insects using energy efficient UV light and traps them on glue cards. The glue cards use natural ingredients, are non-toxic and easily replaced when full. (Glue card will hold 50-100 flies.) The FlyWeb Fly Light is compact and uses a standard 110V plug-in compatible with any outlet. 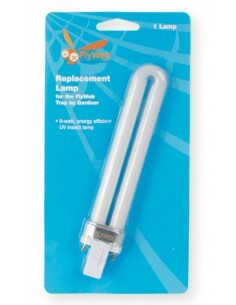 1 FlyWeb Fly Light will trap flies in an average 20x20 area. This compact FlyWeb Fly light is designed for use indoors in residential and commercial areas, kitchens, offices, etc. Its compact size and direct plug-in features allow the light to be placed in any standard electrical outlet. The FlyWeb Fly Light attracts flying insects using energy efficient UV light and traps them on glue cards. The glue cards use natural ingredients, are non-toxic and easily replaced when full. (Glue card will hold 50-100 flies). The FlyWeb Fly Light is compact and uses a standard 110V plug-in compatible with any outlet. 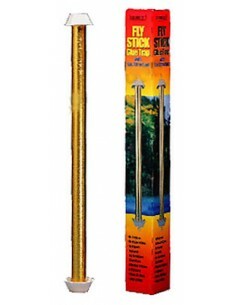 1 FlyWeb light trap will trap flies in an average 20x20 area (600 sq. ft.). 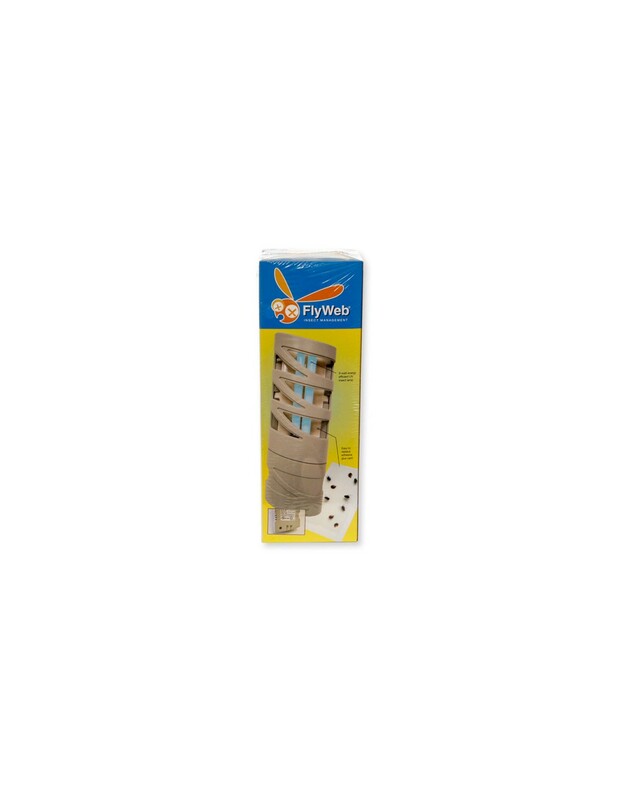 FlyWeb Fly Light is proven to trap annoying, disease carrying, house flies, bottle flies, fruit flies, yellow jackets, moths, asian lady beetles, mosquitoes and many other pests ! 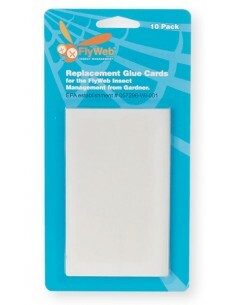 FlyWeb replacement glue cards and FlyWeb replacement UV light bulb are sold separately. FlyWeb Fly Light Size: 11" x 4"